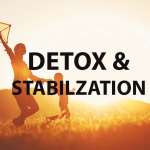 When an individual decides to seek help from an addiction treatment center, they are focused on receiving medical detoxification and inpatient treatment to stabilize their addictions and begin the process of restoring their health. These individuals begin the treatment process with the overall idea to stop using addictive substances and to improve their bodies and minds in the treatment process. It’s natural for individuals to desire to improve their physical health using nutrition and physical exercise to strengthen their bodies once they begin receiving substance use disorder treatment. Summer Sky Treatment Center encourages our patients to work toward better physical and mental health while in substance use disorder treatment. A big part of recovery is improving a person’s overall mental and physical health together. This often involves learning how to take care of your body correctly. To achieve this learning process, Summer Sky provides education and a substance use disorder personal trainer that helps individuals learn the correct ways to exercise. When you choose to attend Summer Sky, you will have access to a personal trainer who is onsite at the facility to help you with physical fitness needs. Exercise and stretching is an important aspect of personal recovery. Some patients will need extra help with their physical fitness training, and a personal trainer is a great addition to your treatment care at Summer Sky. Having access to a personal trainer on staff is an additional benefit to attending the Summer Sky Rehab Programs. Our Personal Trainer is Rick Henry M.S, NASM-C.P.T., ACE-C.P.T. and he is currently working on his doctorate. 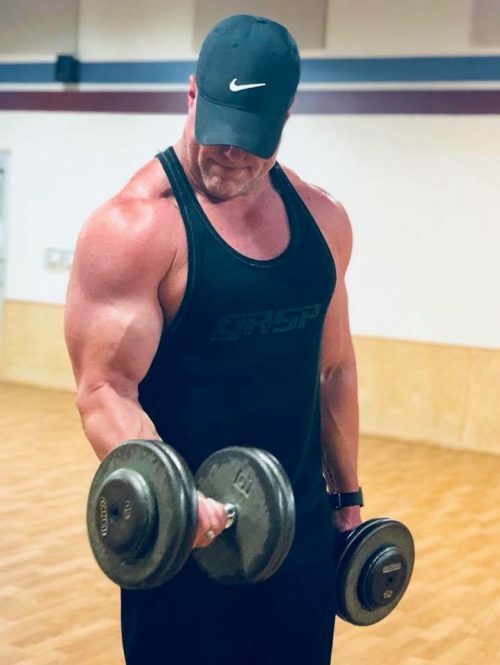 Rick is passionate about seeing our patients become healthy in all areas of their lives and he understands that those that choose to utilize our physical fitness program while in treatment will benefit mentally and physically from the healing process utilized with physical fitness. People with a substance use disorder are often physically affected by an active addiction to substances. Once a person enters treatment, they can begin the process of healing the body and mind. The Summer Sky High-Intensity Interval Training helps with cardiovascular exercise and intensive anaerobic exercises along with less intense recovery periods. This alternating exercise program is something our patients enjoy participating in while in treatment. Each patient is assessed by our medical director and cleared for participation in the program, and our personal trainer also performs a physical fitness needs assessment prior to participating in this program. The Summer Sky High-Intensity Interval Training improves athletic capacity and conditions as well as improved glucose metabolism. It also helps with a reduction in fat mass of the whole-body system. Since this is a highly motivating workout, our personal trainer helps with keeping the patient motivated and moving through the exercise regime. The HIIT exercise program begins with a warm-up period, then several repetitions of high-intensity exercise divided by intermediate intensity for recovery. Once this process is completed each patient goes through a cool down period. All patients can utilize a Professional Gym during treatment so if a patient elects to not participate in the Summer Sky Intensity Interval Training Program they can work out and exercise in a professional gym. This all depends on a person’s desire and motivation to participate in a personal exercise routine. You will still have access to the personal trainer who can help design a workout routine that will benefit your desire to exercise and meet your personal goals and needs. Summer Sky believes in motivating individuals in treatment to utilize various physical exercises to improve their overall health. Some individuals utilize our Yoga Program and GOGA Yoga (Baby Goat Yoga) services to help with mental and physical health. No matter the path you choose for physical health at Summer Sky our treatment team is right beside you helping to guide you into recovery. You choose the path that is right for you. We lay out all the tools for your examination, and you choose which are the best tools to help you reach your goals. Healing your physical body after the damage associated with substance use disorders is a process, and there are many paths to achieving this goal. What we know is an integrated treatment approach to helping people heal mentally and physically will provide an individual with a higher success rate in recovery. It’s simple when a person feels better physically then it is easier to process emotions and thoughts in therapy, so it is in the patient’s best interest to explore treating both their physical and mental needs together. Engaging in treatment and challenging yourself to better overall health is part of the recovery process. When a person begins personal recovery, it is important to have a physical needs plan, and our personal trainer will help you create this personal plan. It usually involves exercise and nutrition, and in some cases, special diets are often required, and our treatment center will help make this process possible for you while you are in treatment. Most importantly we will help motivate you to follow through with all recommendations. We want to see you successful in treatment and recovery and improving your health is a big part of our treatment services. 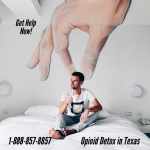 Going to treatment involves becoming free from addictive chemicals, and medical detoxification and inpatient treatment are both the first phases of addiction treatment. Many individuals desire to improve their overall health by beginning to learn how to properly workout. During treatment, they begin physically improving their body and health. During residential treatment individuals at Summer Sky Treatment Center are given an opportunity to utilize the skills of a personal trainer. Focusing on your physical health is an extremally important aspect of treating an individual’s addiction to chemicals. In treatment, people participate in lots of different things like individualized counseling, group counseling, education, and learning new skills to remain clean and sober in recovery. However, many individuals desire to go deeper into improving their physical health while in treatment. Summer Sky makes this process easy to do, and our patients are very thankful that while they were in treatment, they learned the necessary skills to improve their physical health. Do you need treatment now? We have Admission Specialist that you can speak with regarding treatment at our Summer Sky Rehab Program. They are available 24-hours a day 7-days a week to help you with your admission related questions and to help schedule an admission into our treatment center. You can reach them at 1-888-857-8857.